In her new book, legendary singer Grace Jones has dismissed the new generation of provocative pop stars, like Miley Cyrus and Nicki Minaj, as a “passing phase”. She says young artists have copied her style and have no “long-term plan”. Described as an original thinker and performer, Jones, who is famous for her raunchy onstage antics, makes the claim in her new book, I’ll Never Write My Memoirs. She discusses the current state of the music industry and declares many female singers set out to shock and then struggle to maintain their popularity. 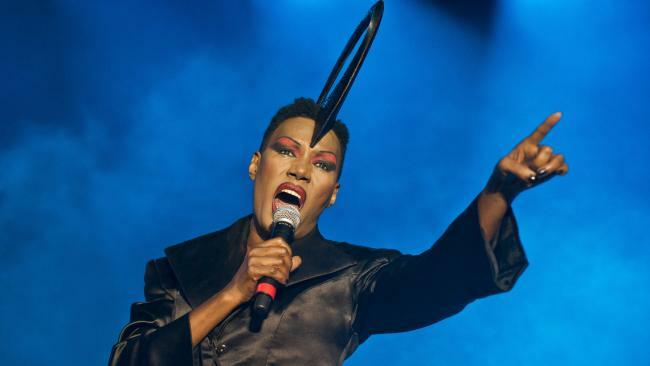 Grace Jones in an amazing woman – one I’ve always admired! Her words are very true. I agree, I think she is right. Thank you.